Call it the biggest happening of 2012 or the biggest move by a car maker as Ford India has slashed the Ford Fiesta price by Rs 1 lakh. Now Ford Fiesta starts at Rs 7.23 lakh ex-showroom New Delhi. Besides there is also a change in the line up. Now the new Ford Fiesta is available in four models in petrol and two in diesel. The petrol Ford Fiesta also has two models available in the latest dual clutch automatic transmission that was launched recently. In all, there are now six models of Ford Fiesta available in the market. The price cut is seen as the decisive factor that will now further boost the sales of this Ford sedan vis a vis Honda City, Hyundai Verna Fluidic and others. With the drop in price there is a change in the line up as well. 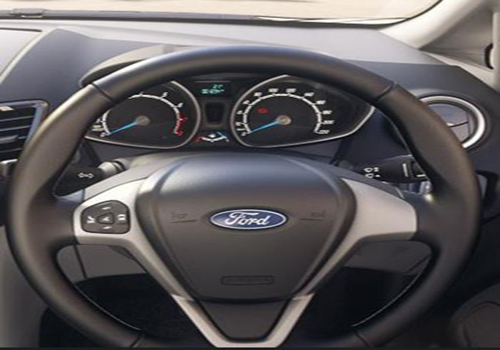 The petrol trims are; Ford Fiesta Ambiente, Style AT, Titanium+ and Titanium+ AT while the diesel are all manual transmission powered and are; Ford Fiesta Style Diesel and Ford Fiesta Titanium+ Diesel. The Ford Fiesta Trend and the Ford Fiesta Titanium models seem to have been dropped from the line up. The Fiesta AT is available on the petrol models of Style and Titanium+ models only. 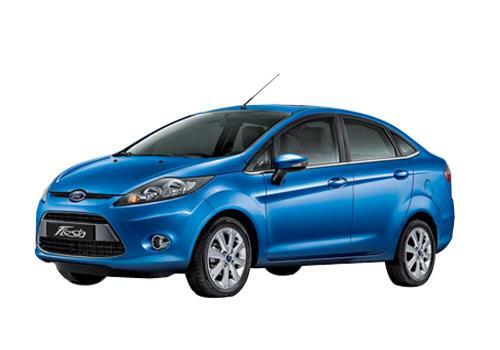 Equally, the Trend and Titanium models have been dropped from the list of diesel Fiesta models. The recent drastic slash in prices by Ford is seen to be the result of the customer feedback who have been constantly complaining that Fiesta still is costly than other cars in its segment. Now that there is a price cut, it is expected that the Fiesta sedan will outshine its rivals by leaps and bounds. Interestingly, even after a price cut, Ford offers ABS and driver side air bags besides adjustable seating and other features available even in the entry level trim. After the price cut, the Ford Fiesta prices are as follows, the entry level Ford Fiesta petrol Ambiente starts at Rs 7.23 lakh while the improved trim Titanium+ is priced at Rs 8.80 lakh. The entry level automatic version of Fiesta which is the Fiesta petrol Style AT is priced at Rs 8.99 lakh while its high end version Fiesta petrol Titanium+ AT price is Rs 9.70 lakh. The diesel Fiesta Style starts at Rs 8.99 lakh while the top end diesel Fiesta which is Titanium+ has a price tag of Rs 9.90 lakh. All prices are ex-showroom New Delhi. the new variant of ford fiesta very compack price thank ford company..